This a story about an amazing young girl that helped my hiking buddy, Caveman. I walked into a shelter in New York by myself as CM had shin splints and was hobbling in. As I walked in this young girl with a dog asked me and a couple of other hikers if we wanted some beer. If you know me you know what I said: “Hell, yeah!” She said it was in her car and she would go get it. Believe it or not I told her not to bother as I had thought she had it with her. She insisted and said it was only 1.2 miles. She and her dog were gone in a flash. CM pulled in and we set up camp. When she returned she had a collapsible ice chest with a collection of different semi-cold beers. It looked to be leftovers from a party. By then more hikers had arrived and everyone was excited to have a couple of beers. 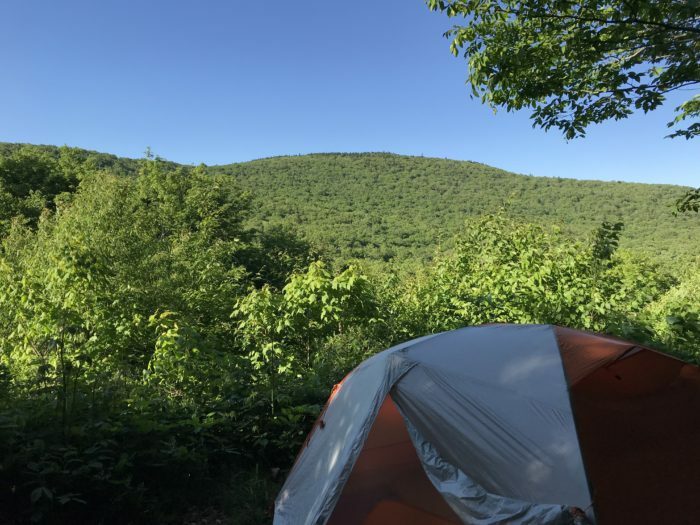 As we talked it came out she had thru-hiked the AT as a SOBO in 2017. CM had also started a SOBO one week before her in 2017. CM had a heart event and to leave the trail a couple of weeks in. Turns out they knew a lot of the same hikers. What struck a chord with me is what she said about the two hardest days on the trail. They were the first and the last. 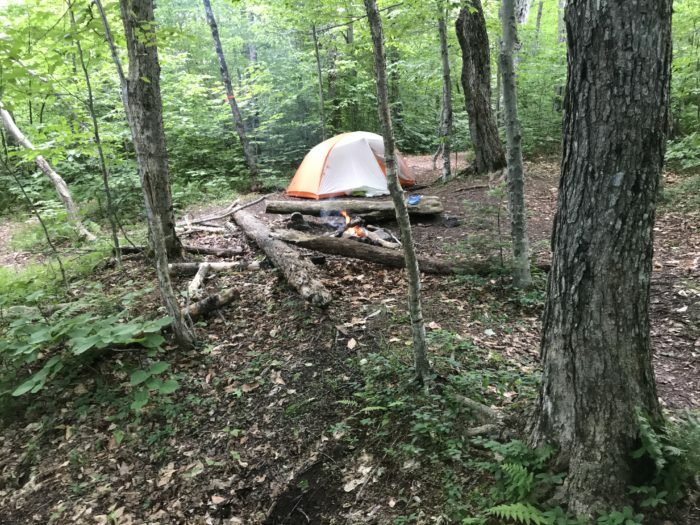 The first because she climbed Katahdin in a late-season snowstorm, then had to do 24 miles in an early-season snowstorm in Georgia to finish. She really liked having the challenge to finish. She gets it. She hangs out on the trail. 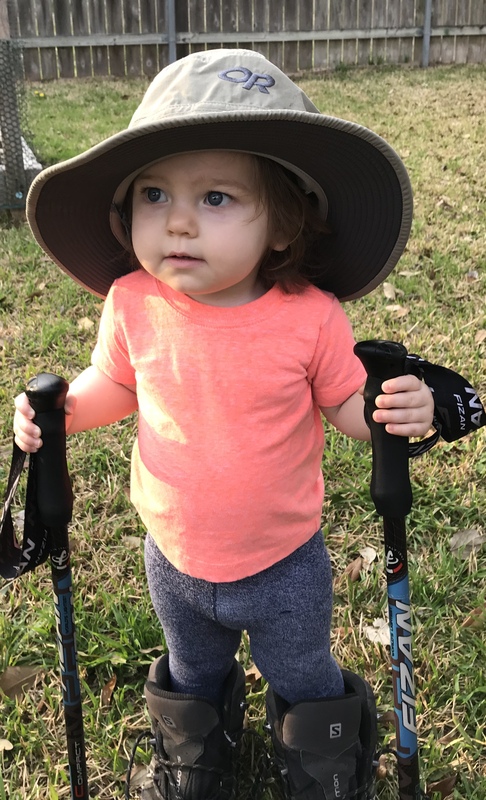 She is doing the PCT next year. She is awesome. She is a trail angel. She is what I hope my granddaughter grows up to be. I only talked to her for about an hour, along with everyone else. It was her actions that defined her for me. It was the way she said she liked having a challenging finish. Sometimes the people in your life very briefly affect you greatly. I will always remember Possum. Hello. My friends know me as Bux and my tenitive trail name is Boomer, as in baby boomer, from my blog www.Hippiehike.com I will be a Flip-Flopping hiker starting NOBO from HF then SOBO from HF starting in late April. I am a life long hippie and first time backpacker. Peace.